Two Victaulic innovations were recently named finalists in the 2019 CSE Product of the Year Awards – the Style V9 Sprinkler Coupling and Grooved Sprinkler, and the QuickVicTM SD Installation-ReadyTM System! The 2019 CSE POY Awards highlight top-of-the-line products that demonstrate a high level of quality and efficiency across the fire safety, electrical and plumbing markets. Starting now through Friday, June 28th, CSE magazine subscribers can vote for their favorite 2019 CSE POY finalists to become 2019 winners. The FireLock IGS Style V9 Sprinkler Coupling and Grooved Sprinkler has been chosen as a finalist in the 2019 CSE POY awards’ Fire, Life Safety, Mass Notification category for its ease of installation and cost efficiency. The Style V9 is the industry’s first Installation-Ready sprinkler that is UL-Listed and FM-approved. With no loose parts or preparations to be made before installation, the coupling and sprinkler are ready to be placed right into the system, saving time and money spent on the preparation process. Utilizing a mechanical joint in place of threading reduces the risk of improper installation as well as the manpower needed on the ground, making this Installation-Ready piece a consistent success. 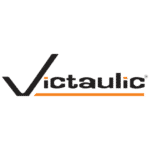 A finalist in the 2019 CSE POY awards’ HVAC Systems & Equipment category, Victaulic’s QuickVic SD Installation-Ready System is the most efficient and economical solution to join ½ to 2” carbon steel pipe. This innovative technology installs up to four times faster compared to traditional joining methods and yields significant cost savings. And with the help of the PC3110 Cut & Mark Tool, pipe can be cut and marked quickly, and the knurled markings ensure proper insertion depth has been achieved. QuickVic SD products can also be readjusted and/or reinstalled in a maintenance or retrofit situation, without cutting away the entire joint. Voting closes on Friday, June 28, so visit www.csemag.com/poy to show your support. Last year, Victaulic took home gold, silver and bronze awards for its System Solution for CPVC Pipe, Victaulic Tools for RevitTM 2018 and the FireLockTM Innovative Groove System (IGSTM) for Small Diameter Hard-Pipe Solutions, respectively. The winners of 2019 CSE POY awards will be announced in the September 2019 issue of Consulting-Specifying Engineer magazine. Stay tuned for updates on the contest and be sure to cast your vote! The readers voted and the results are in. Find out which three Victaulic products took home the Gold, Silver and Bronze in the CSE 2018 Awards.